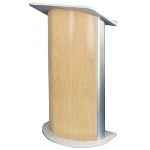 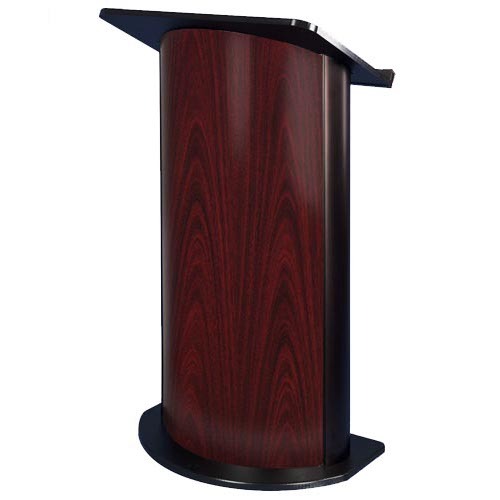 Curved Jewel Mahogany Lectern A great looking addition to any conference room, lecture hall or meeting place, this stylish model sports a curved front panel and flat rear panel. 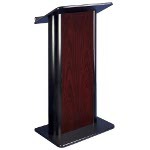 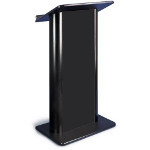 The lectern provides a spacious reading table and sturdy base which are made from high quality MDF for great looks and long life. 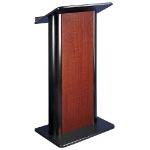 The modern look is completed by the pre-installed front & back Formica panels. 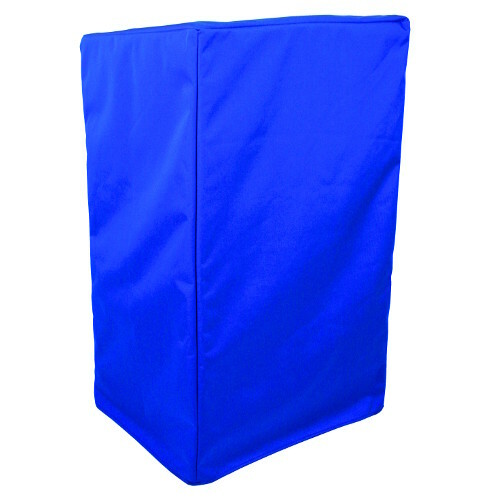 Included in the box is an acrylic shelf which mounts on the rear panel providing you an out of sight place to keep a beverage.